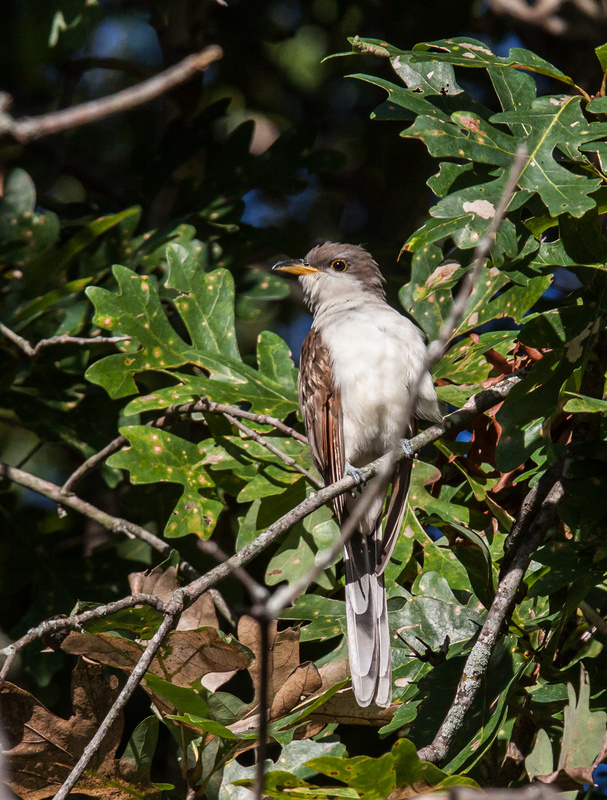 I am always shocked by the length of the tails of Yellow-billed Cuckoos (Coccyzus americanus), like this one that I spotted on Friday morning at Occoquan Bay National Wildlife Refuge. It is pretty rare for me to get an almost unobstructed view of a cuckoo—usually they either fly away as I approach or are hidden in the foliage. In the second shot, the cuckoo had shifted its body and the the new perspective has the effect of making the tail look a bit shorter and the body a bit chunkier. Seems to be the depression. Good scoping, Mike. These are very reclusive birds. Love that you got the yellow eye-ring! Thanks, Eliza. 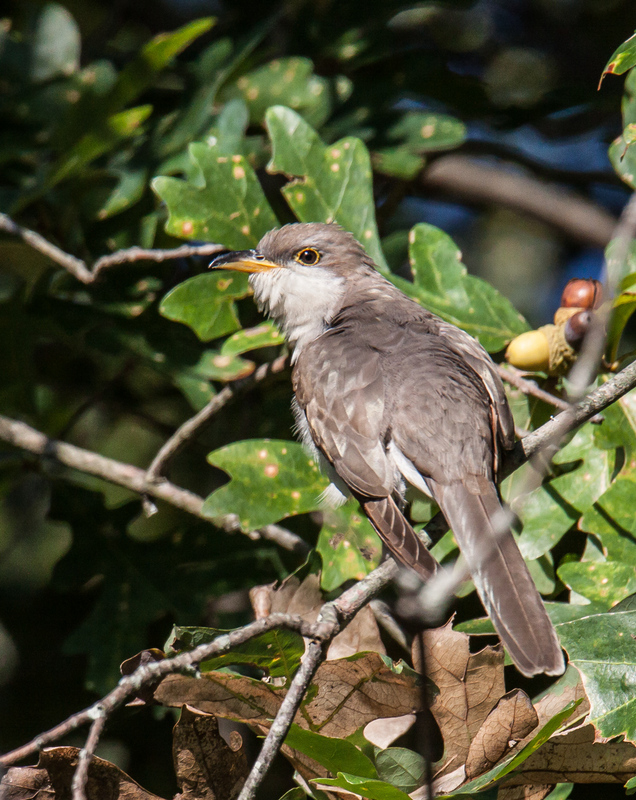 I was fortunate that we had a lot of sun that day and that the cuckoo was not buried deep in the vegetation as is often the case. Both of those factors helped me in capturing images that show the eye-ring. Nice Mike! I do not think I ever saw one before! The two-toned bill is pretty distinctive–it is one of the only ways that I know to identify one. Not a common bird in central Ohio so it always a treat to see one not to mention photograph! I have spotted some a few times over the years, but they are pretty elusive and not exactly common here.